For this week's Mellow Yellow Monday, my entry is food! We ate this corn and carrots at Leslie's in Tagaytay during our planning and teambuilding. It looks good, but it doesn't taste as good. We thought that the yellow strips were cheese, but it turns out they were butter also! 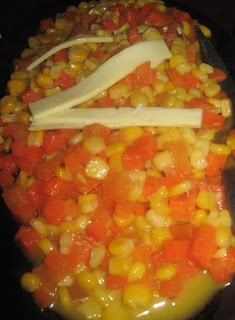 So the corn and carrots were swimming in butter!